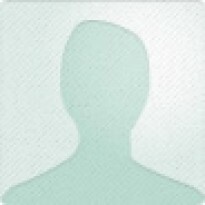 This novel follows the love story of two individuals who meet on a dating website. Only, this isn't your typical love story! 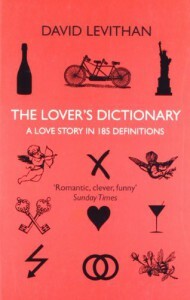 Levithan's "The Lover's Dictionary" is written in 185 definitions! I can be skeptical when writers attempt to do something "clever" such as this, but in this case, it actually paid off! One minor detail that bothered me about this novel would be how the protagonist "hated" the word lover. Yet the title of the book is "The Lover's Dictionary". Due to some of the deeper thoughts and feelings expressed in the novel, I think that Levithan could have thought of a title which expressed this and did not contradict what was said in the book. I would recommend this for anyone who enjoys something outside of the ordinary and most importantly loves a love story!